Suspected without proof of destroying a fellow Starfleet vessel, the Enterprise is stripped of its flagship status and sent on a seemingly pointless mission to a backwater of space. 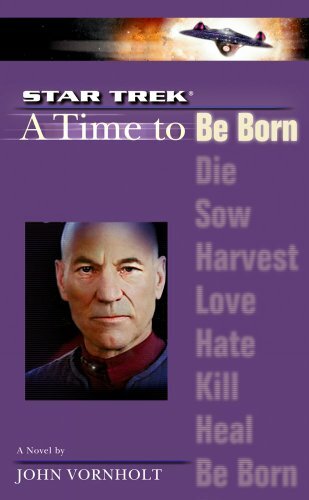 Caught up in events outside their control, mistrusted even by their Starfleet companions, Captain Jean-Luc Picard and his crew must struggle to win back their place of honour at the forefront of the Federation fleet. In the second book of this nine volume series, the first of the five stories is concluded. After breaking Picard out of jail, Wesley and the crew return undercover to the site of their disgrace to solve the myriad mysteries of the former battle site. 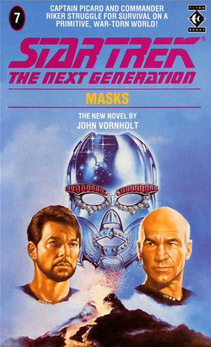 After the first novel was focussed on Picard, I had assumed that the cover image would indicate which of the NextGen crew each book would be about. By my reckoning that made this a Data book - but it isn't. This is definitely a Wesley book, reuniting him with his former crew and wrapping up his storyline which began in the previous novel. 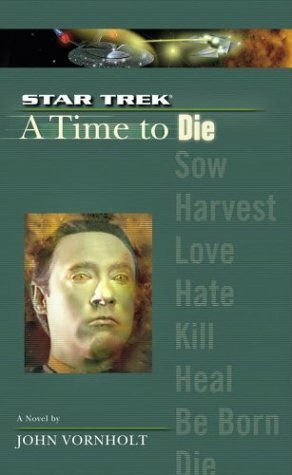 Many readers may be offended by this, as Wesley is traditionally not the best loved member of the crew, and Vornholt makes a tongue-in-cheek reference to this. I however am still a fan of Wesley, particularly as he was by far the closest character I could relate to while growing up watching the show (I too was a child genius who often saved the ship). This book shows Wesley as a young, insecure adult with little idea of what direction to take in life, and explores him pushing the boundaries of his abilities to stave off the destruction he has foreseen. This novel is an interesting mix; part adventure, part mystery, part homecoming and part love story. Star Trek isn't known for its love stories, and with good reason. Te romance seems terribly sudden, forced, and a little amateur. One of the characters involved spends the first part of the novel lying to the other, before abducting her. It felt uncomfortably forced, and I am left feeling that it was done merely to leave a door to putting the toys back in the box at the end. I was also disappointed in one particular passage towards the end, where the narration continues as normal for several pages before revealing that what it describes is just a character's imagination running away, and then replaying the scenes properly. Overall it was an okay book, although the solution was quite obvious from early on.